When our getaway to the lake had to be cancelled, we were left with some free time, a modest budget, and a serious need to get out of the house for a while, despite a damp and rainy day. A little thought and computer searching turned up a trifecta that fit the bill: not just Southern-fried—truly specific to Atlanta. Three destinations, making up a budget-friendly and slightly funky Atlanta outing you won't have to line up for. Well, that's not quite true for our last destination especially, as you'll see--but the queueing definitely won't be comparable to the wait you'd be likely to experience at one of Atlanta's theme parks! The "Gold Dome." Photo courtesy connor.carey and Wikimedia Commons. 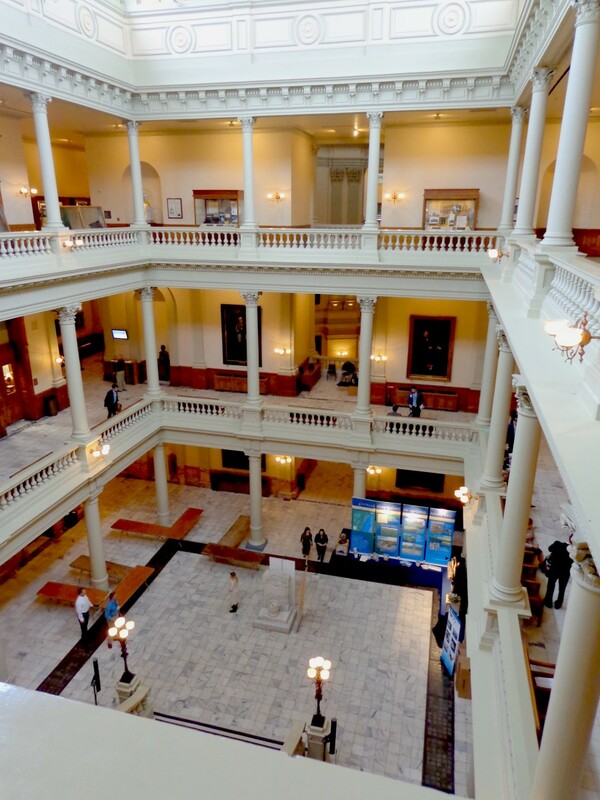 First up: the state Capitol museum. 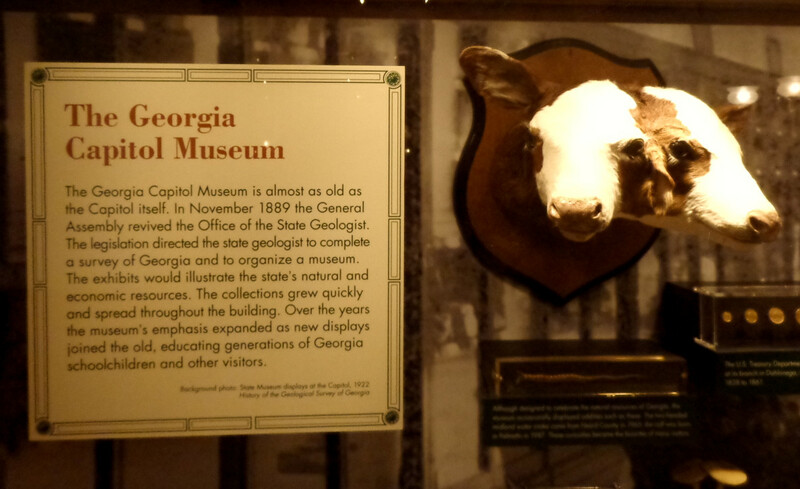 Located on the 4th floor of Georgia’s “gold dome,” this collection of artifacts, specimens and memorabilia has a lot to say about the state and its history. The first surprise for me was layout: I’d imagined an enclosed space somewhere, cloistered away from the everyday business of legislation. But that’s not how it is: the museum consists of display cases arrayed around the floor in more-or-less thematic arrangement. Your visit could have you rubbing shoulders with the Speaker of the Georgia House, perhaps the Governor himself, or—as in the case of our visit—a couple of interns welcoming a new colleague. 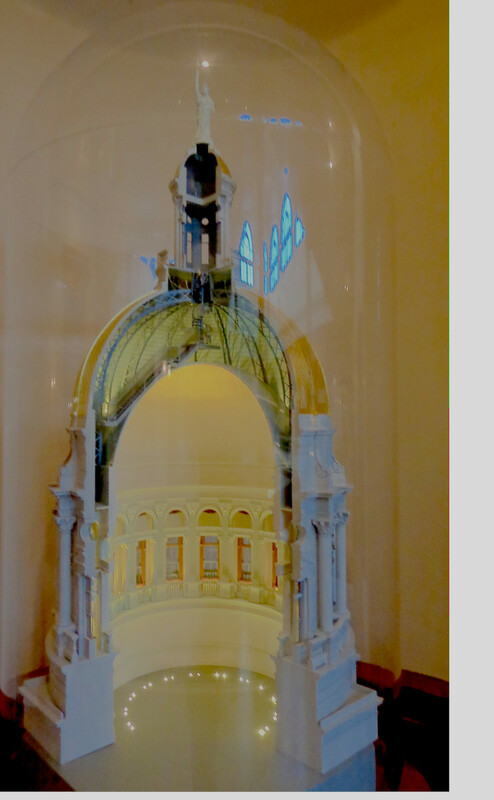 Under the real dome you can find this cutaway model. Photo by author. Inside the Capitol one finds a rather gracious Neo-Classical working space. Photo by author. 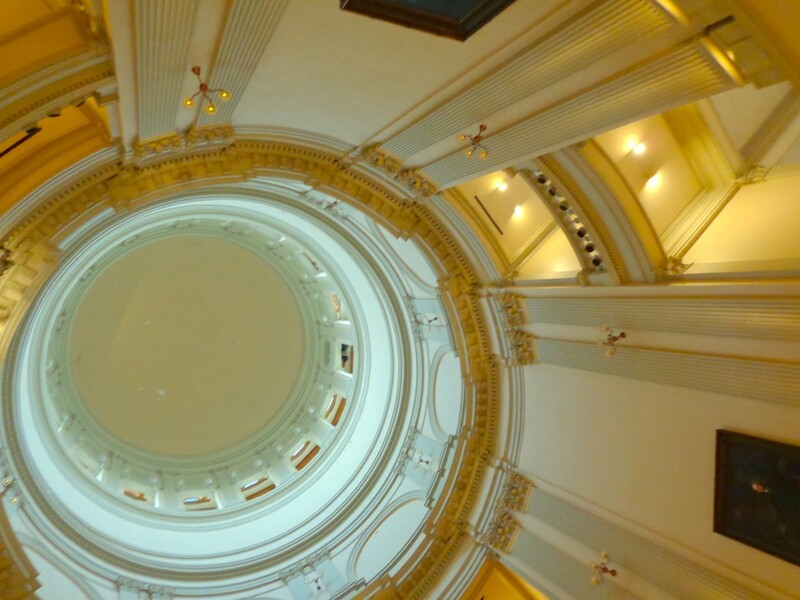 Interior of the "Gold Dome," looking upward. Photo by author. The collection is diverse, to say the least, and ranges from the serious to the frivolous. On the serious side, generations of state geologists have contributed samples—and there’s even “Selenological” samples: you can see a few specks of Moon rock gifted by Richard Nixon. (Each state received some.) Equally otherworldly is the 219-pound iron meteorite uncovered in Social Circle, Georgia, in 1926. Its cut and polished surface—product of scientific study in 1950—is a surprise, too, looking rather like the finish on a modish refrigerator. 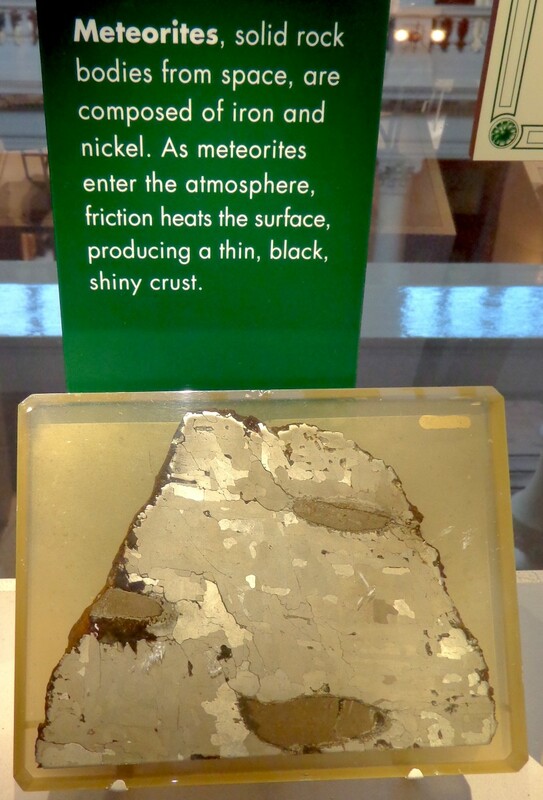 Section of the Social Circle Meteorite. Photo by author. 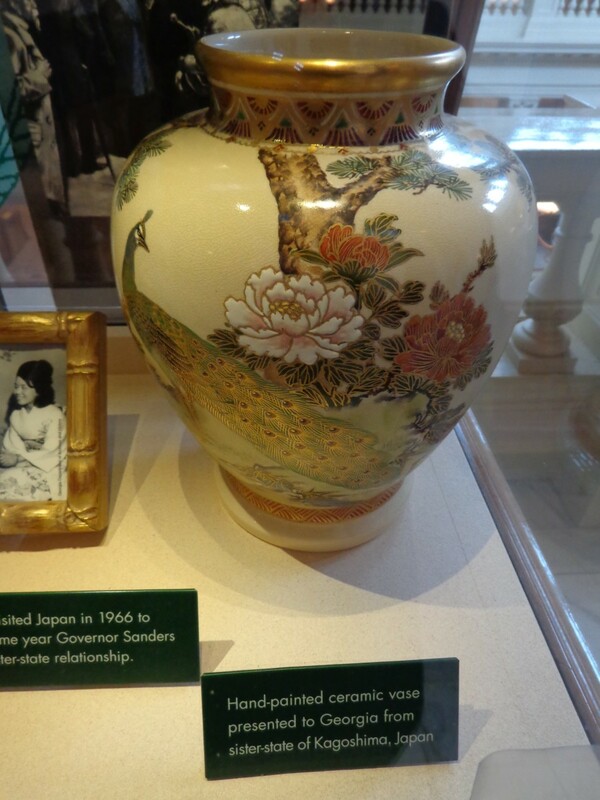 The "Kagoshima Vase"--culturally significant as a gift from Georgia's 'sister state' in Japan, but sheerly beautiful as well. Photo by author. 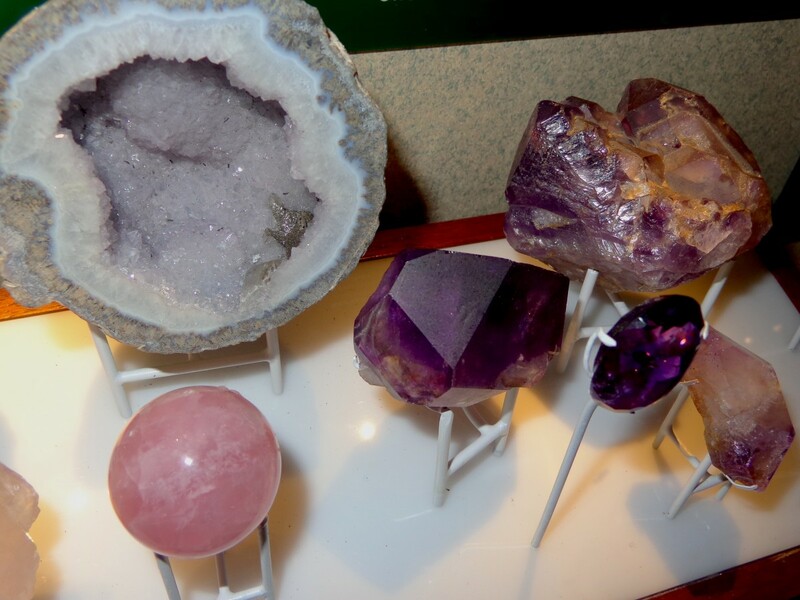 Georgia crystal specimens. Photo by author. The living world gets its due, of course. The large ecological divisions of the state—from coastal wetlands to the North Georgia mountains—are illustrated with tableaux featuring characteristic animal and vegetable specimens. "Ecozone" Display cases. Photo by author. Paleohistory is not ignored. Georgia has produced her share of human and pre-human specimens which illuminate what once was. 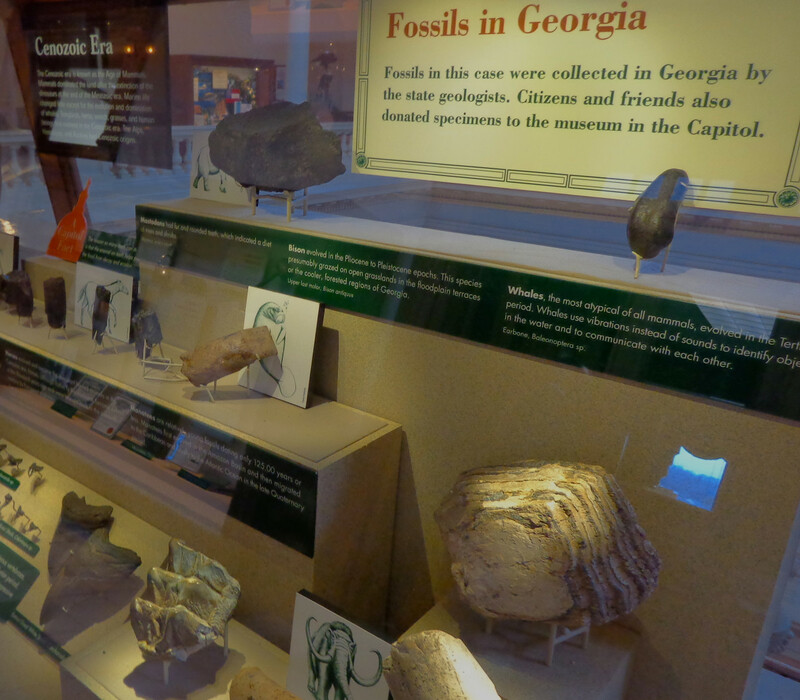 Fossils in Georgia. Photo by author. 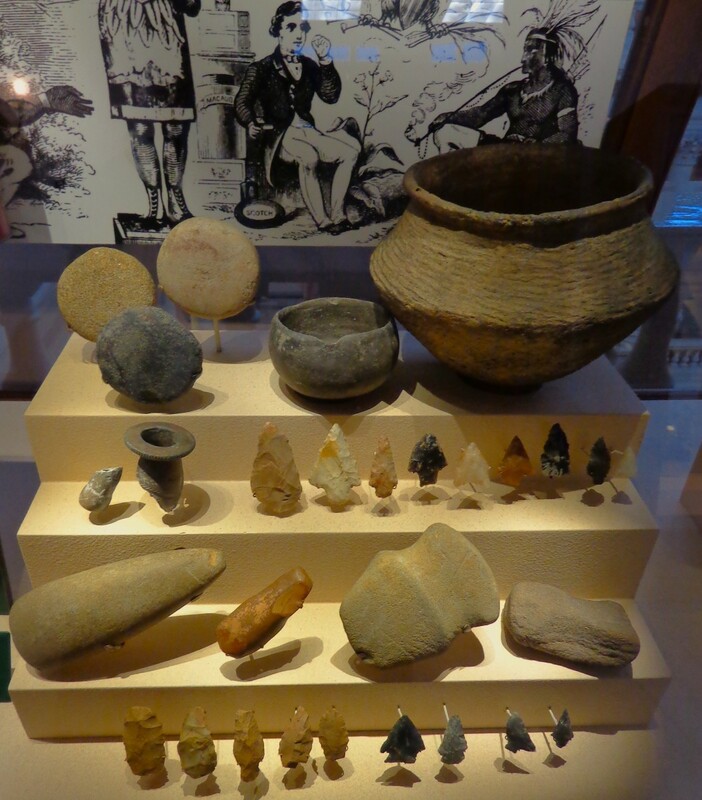 Artifacts of the original Americans. Photo by author. The first tragedy of European contact in the Southeastern US was the genocidal expedition of Hernando De Soto (1539-42), which decimated the Mississipian cultures. 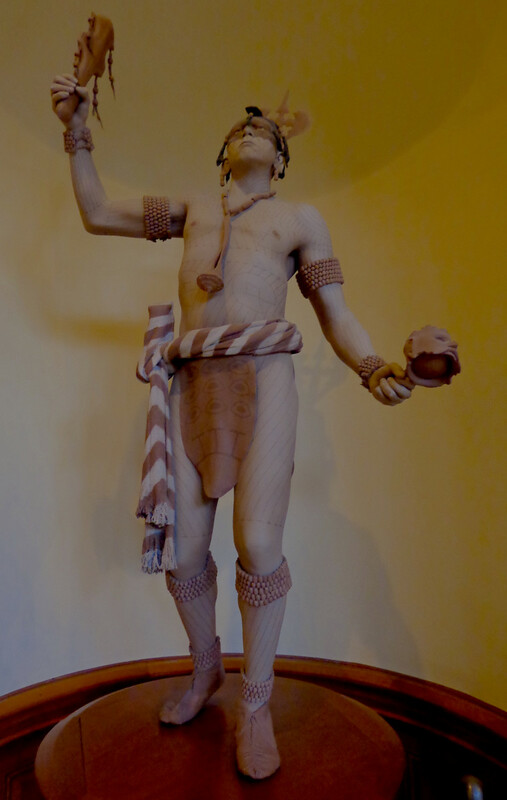 This figure attempts to reconstruct the appearance of a Mississipean chief. Less educative, perhaps, are the ‘freaks of nature’ contributed over the years. Most memorable is the two-headed calf; everybody seems to remember that. Its conjoined faces stare mournfully out at you from a display case placed—a little apologetically, perhaps?—in a corner, sharing space with a two-headed snake, a lever-action Winchester carbine—“the gun that won the West!—and other miscellanies. "Hay-seed" or not, everybody remembers the two-headed calf. Photo by author. The political gets a nod, of course. Staying with the frivolous for a moment, the Jimmy Carter lunch box was a favorite election time goody for me. 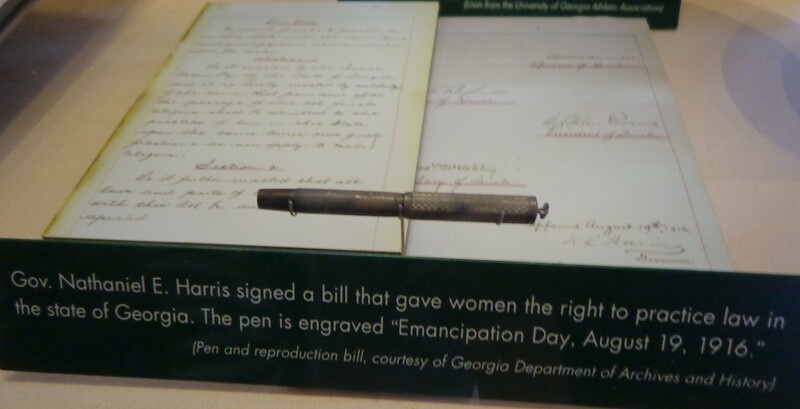 But there are also artifacts with more historical weight: the pen used in 1916 by Governor Nathan Harris to accept the first female lawyer in Georgia, for instance. The "Emancipation Day" pen. Photo by author. 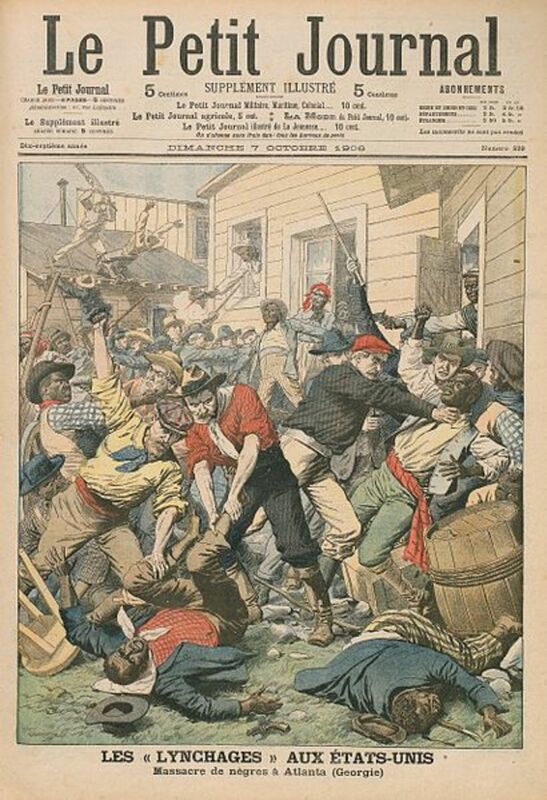 To the credit of museum staff, painful parts of Georgia’s history are documented: a 1906 Parisian magazine cover , for example, shows us how international the shame of the Atlanta race riot truly was. A journal cover similar to this one is on display at the Museum, acknowledging one of the grimmest times in Atlanta's history. Image courtesy Wikimedia Commons. 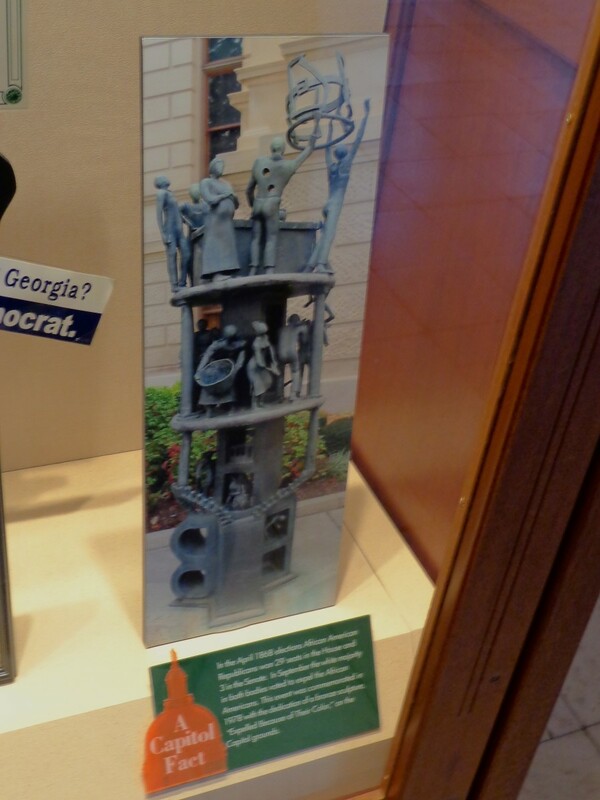 The struggle of African-Americans to achieve political representation in Georgia is described in the Museum, as in this photo of the "Expelled" memorial, also on Capitol grounds. Photo by author. 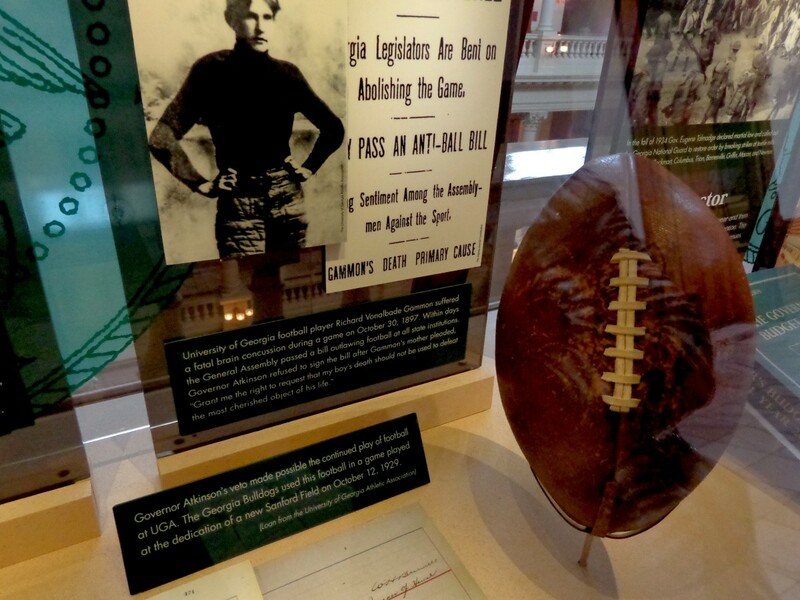 Speaking of the University of Georgia and good ole-fashioned school spirit, the Museum could hardly ignore football. 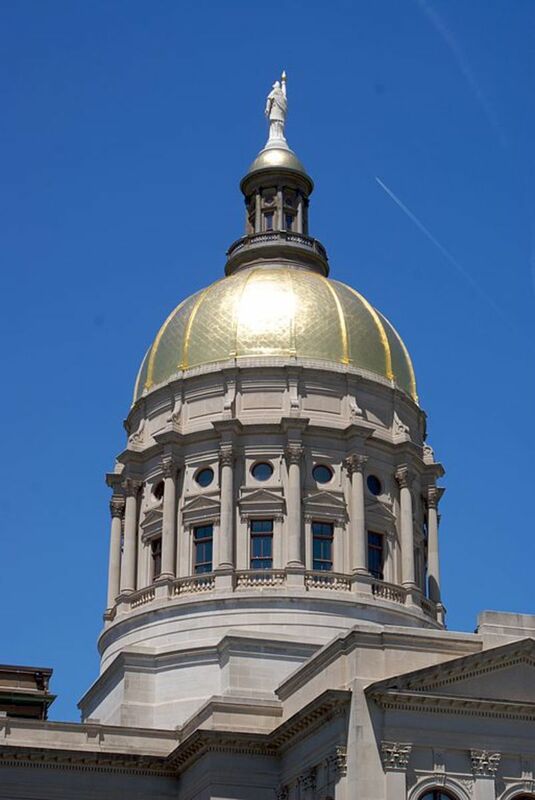 It will be surprising, perhaps, to many that the Georgia Legislature actually voted to ban the game. In 1897, UGA fullback Richard "Von" Gammon was fatally injured while playing against Virginia. Georgia Tech and Mercer University disbanded their teams, while the Atlanta Journal proclaimed the "Death Knell Of Football" in the state. But Gammon's mother, Rosalind Gammon, wrote Governor Atkinson to implore him not to make her son's death the nemesis of the game that he had so loved. The governor vetoed the Legislature's ban, perhaps affecting the whole future sporting history of America. It wouldn't be the South if football weren't acknowledged. But it might not have been that way. Photo by author. 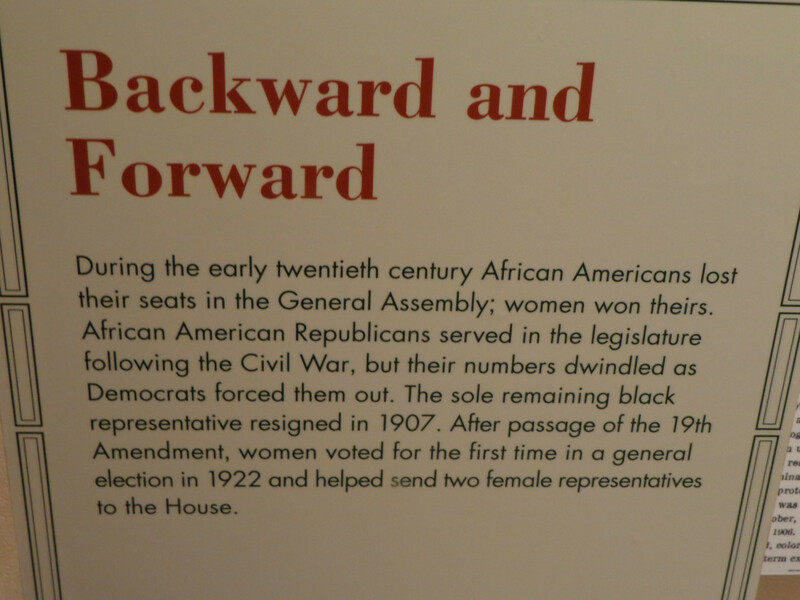 All in all, the museum is a great, if slightly off-beat, rainy-day diversion (educational variety.) Access is free--but don’t bring firearms; while state legislators have worked diligently to advance the right to bear arms throughout Georgia, their own workplace remains an inexplicably gun-free zone, enforced by metal detectors and security guards. Erring, perhaps, on the side of caution, I was even careful to leave my pocketknife in the car. 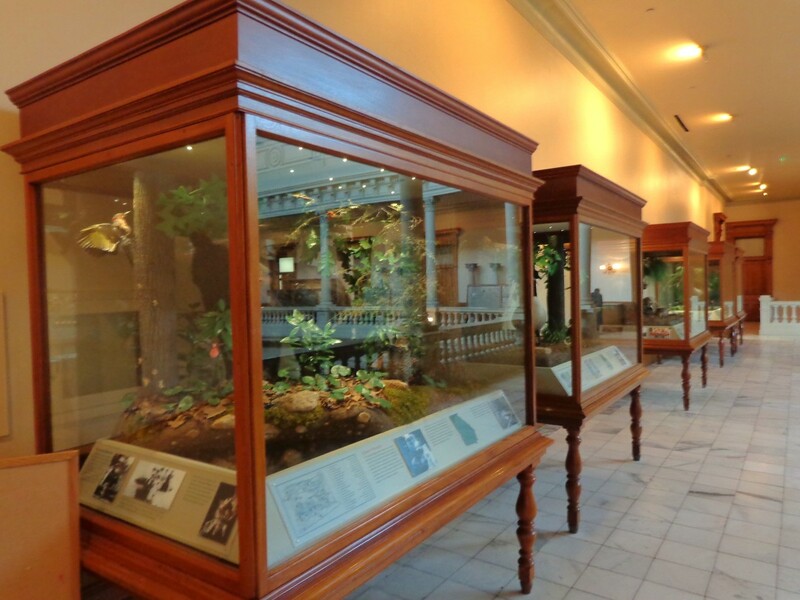 The Capitol Museum is open during business hours: 8 AM to 5 PM weekdays, state holidays excepted. Guided tours are available, but must be booked in advance. The Flying Biscuit by day, McClendon Ave and Clifton. Photo by author. 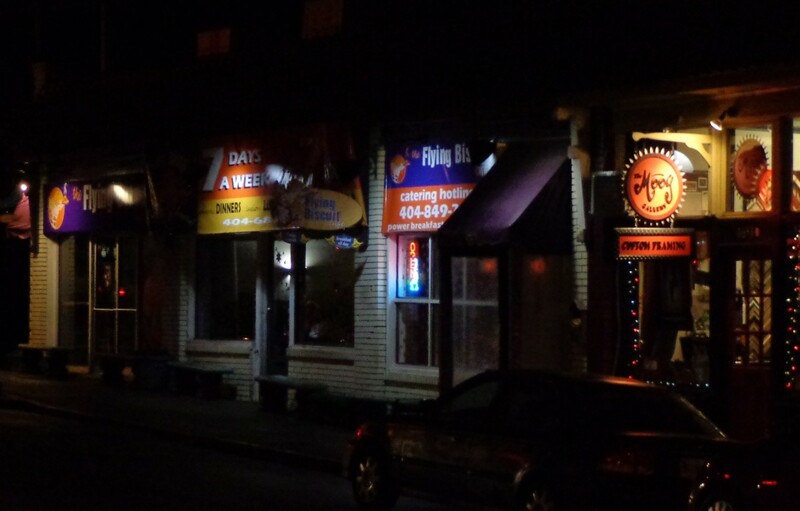 The Flying Biscuit by night. Photo by author. Detail, Flying Biscuit main room. Photo by author. 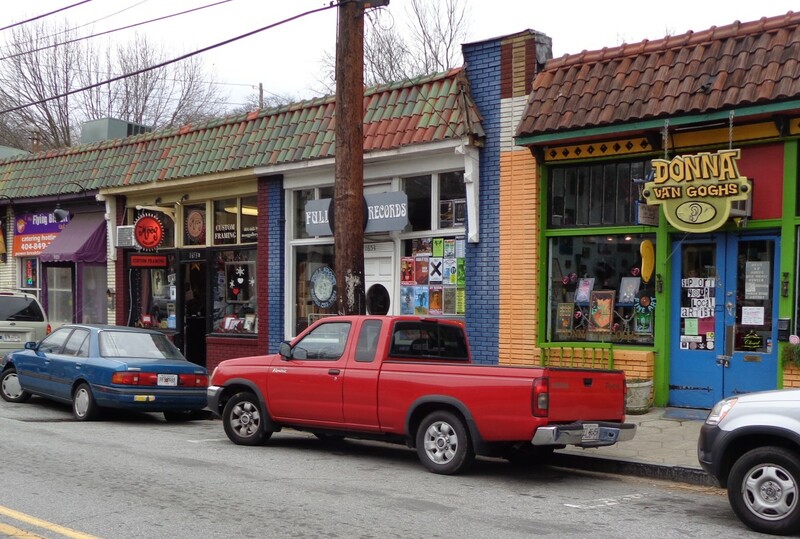 Definitely in-town today, Candler Park was originally suburban. Its craftsman-style bungalows are much less grand than in neighboring Inman Park, and its small ‘business core’ on McClendon Avenue retains a certain 60s-ish funkiness. "The Biscuit" and neighbors. Photo by author. 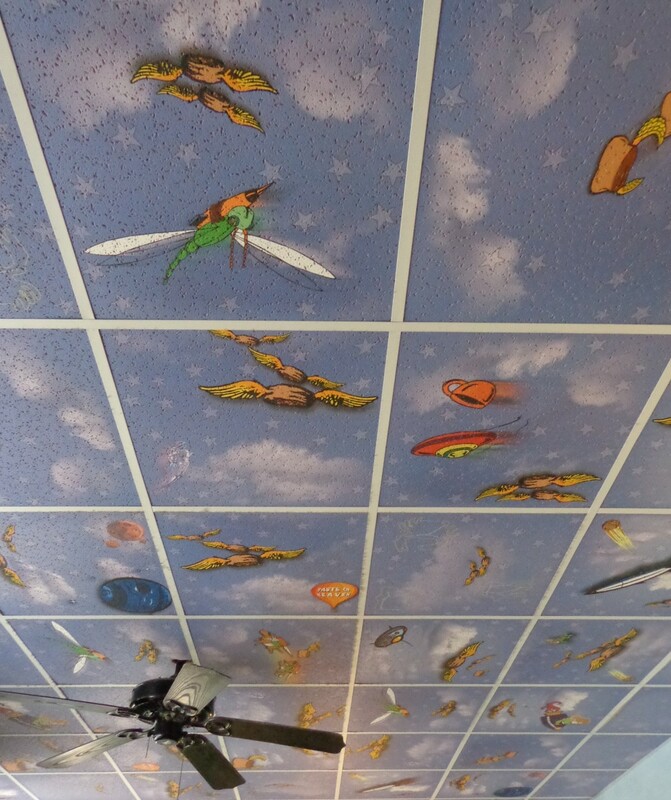 Inside the Flying Biscuit, that atmosphere is only reinforced--especially in the ‘sunflower room,’ which features panoramic murals, painted acoustic tile ceilings, trompe-l’oeille sunflower sconces, and a 1994 credit to the decorative artists responsible. As if that weren't enough, classic rock welcomes baby boomers back to the days of their youth—OK, I knew every single song played during the hour and a half we were there! The wait staff greets you with friendly informality--and an efficiency that runs, perhaps, a bit contrary to some stereotypes aroused by words like "funky" and "60ish." 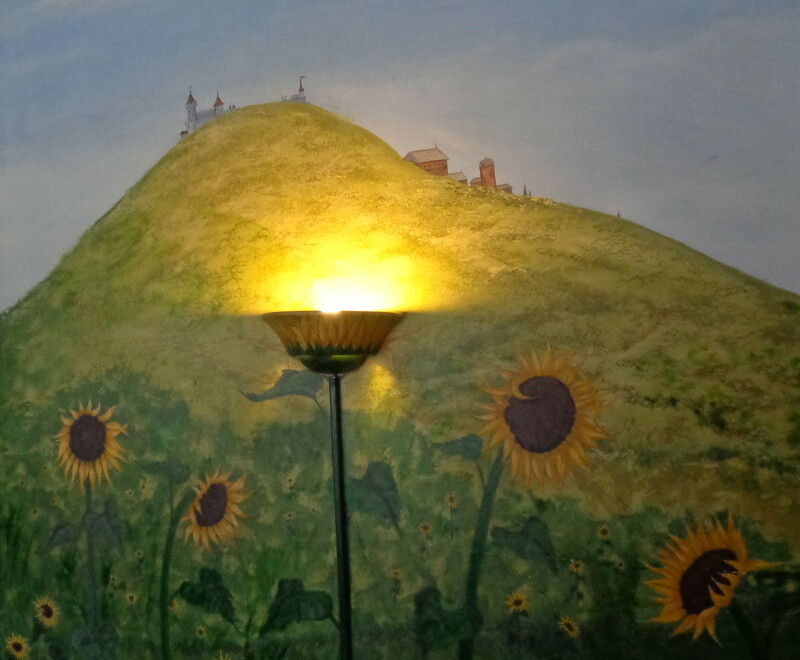 Sunflower mural detail. Photo by author. I don’t consider myself a food critic, but to my mind the food was delicious. We shared a plate of fried green tomatoes, and though their breading was not as crispy as I’d have preferred, the cashew-jalapeno relish—sweeter and less hot than I’d have expected—and goat cheese made an exquisite flavor combination. That was followed by fish tacos and a Flying Biscuit specialty, “Love Cakes.” Both succeeded admirably—though like the tomatoes the cakes were much moister than I’d expected. (An uncharitable palate might even call them “soggy.”) But the blend of flavors—the cakes are topped with tomatillo salsa, sour cream, feta cheese and red onion—was a treat, and the tacos were simply delicious. We finished our meal by sharing a slice of key lime pie. Key lime purists might object to the prominent flavor of the raspberry topping drizzled over it, but evidently we are not key lime purists; every crumb disappeared as if by magic. The house’s signature biscuits, you ask? Well, yes, one came with the tacos, and it was as good as advertised—surprisingly substantial without seeming heavy, and quite tasty. Sunflower room ceiling detail. Photo by author. I’d recommend the Biscuit. It’s got its own characteristic vibe, the food is good, and it is relatively inexpensive—our tab for the full meal was a tad over $60, including a bottle of Australian viognier. Skip the appetizer or dessert, content yourself with non-alcoholic beverages, and you could easily come in under $30 for two diners. I’d have to concede, though, that there is a certain feeling of ‘tiredness’ about the place. Maybe it’s just that the Biscuit has become a franchise now; the website lists 13 locations, including three in North Carolina and one in Florida. Corporate energy has presumably been directed outward. But the original is still well worth a visit, and we thoroughly enjoyed ours. 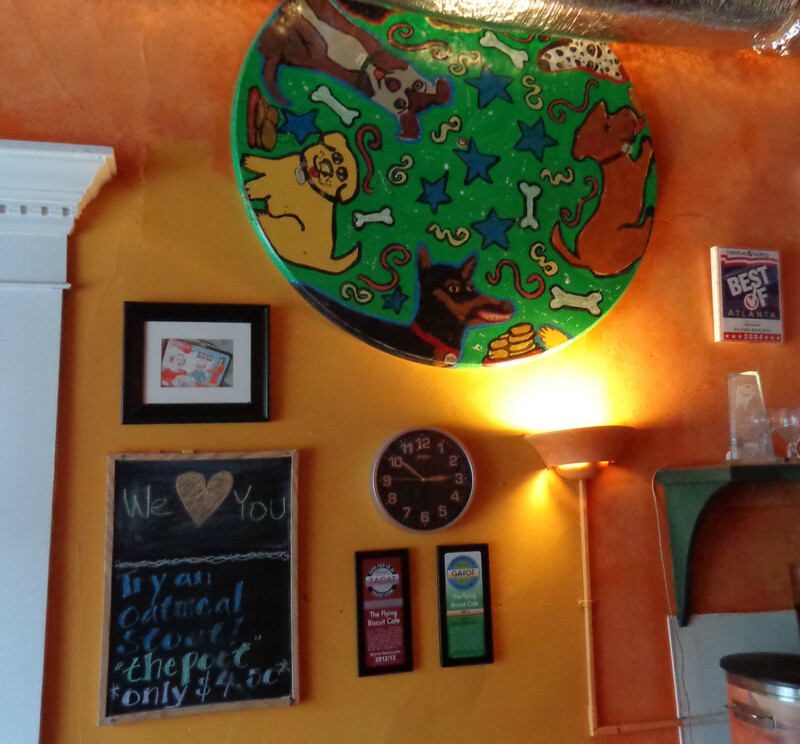 The Flying Biscuit Cafe, Atlanta's best restaurant for breakfast, lunch, dinner and catering. 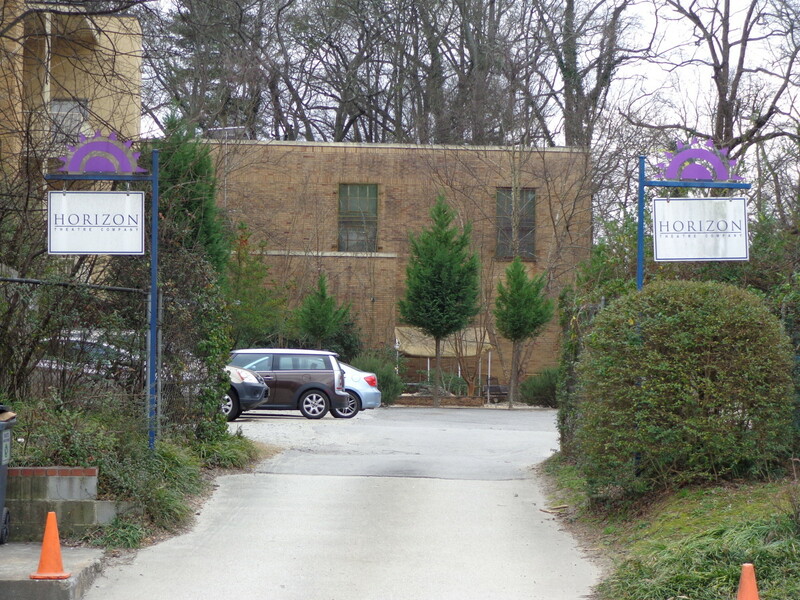 The centerpiece of our Atlanta outing was the show at Horizon Theatre, about a mile back toward the city, on the western fringe of the fabled Little Five Points neighborhood, where it blends into upscale Inman Park. 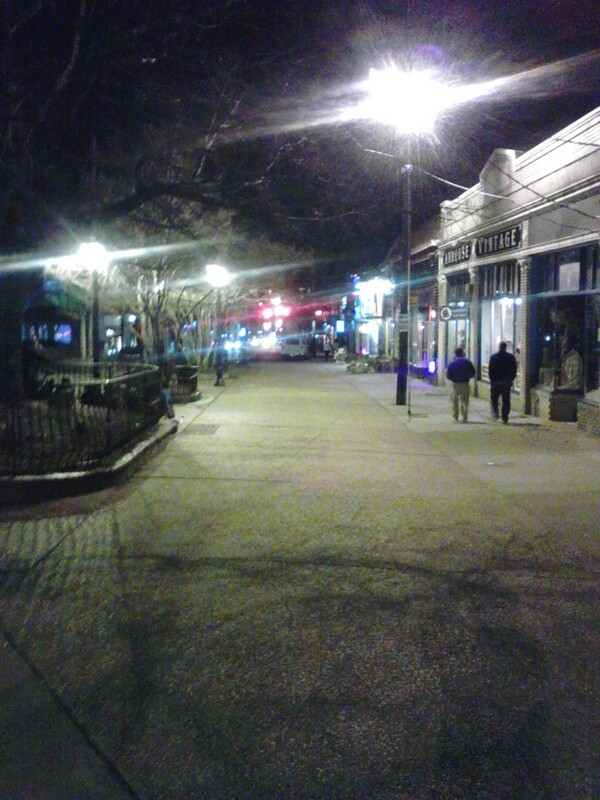 Little Five Points by night. Cell phone pics always look grittier... photo by author. The street scene was represented, the night of our outing, by a couple of jewelry crafters plying their trade right outside the police mini-precinct office, and a street magician introducing himself as “David.” He had an engagingly comic levitating cigarette routine, followed up with some very passable card tricks, all wrapped in a positive but not pushy performing persona. Just the act to enliven our stroll through the neighborhood and fill out some of the wait until showtime! Horizon Theatre's main sign, on the corner of Austin Ave and Euclid. (View of sign here is from across Austin Ave; Euclid is out of frame to the right.) Photo by author. The Horizon has been around for nearly 30 years, and emphasizes local work—more on that later. Despite their efforts—there’s a sign (pictured above) above) fronting Euclid Avenue which is quite hard to miss, and their website has a decent map showing the parking lot and its Euclid entrance—accessing the theatre is confusing. 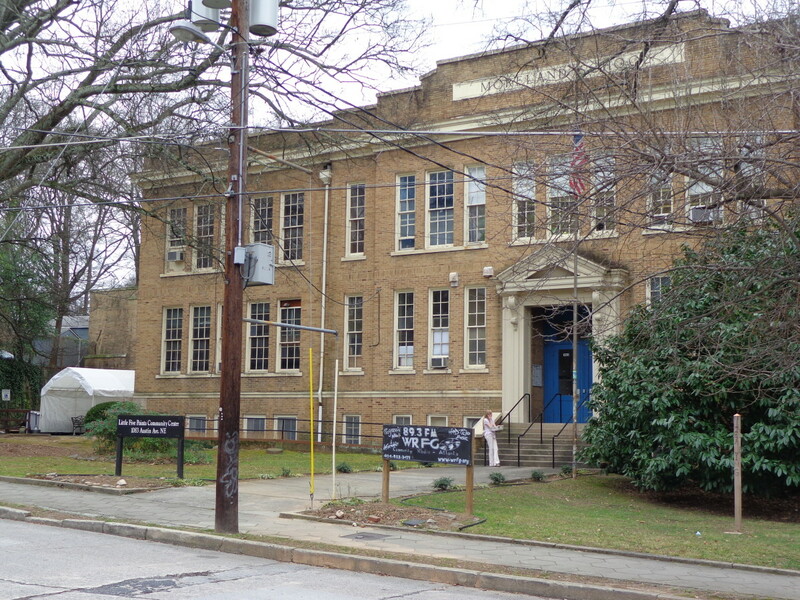 It’s located inside the Little Five Points Community Center, the former Moreland Elementary School now hosting a whole variety of arts and community organizations. Austin Ave Community Center frontage, showing old Moreland Elementary sign. The canopy visible at left is the eastern entry to the Horizon. Photo by author. It’s not so bad from Austin Avenue; on that side there is a canopied entry that suggests a theatre marquee. But from the parking lot, it’s another story. 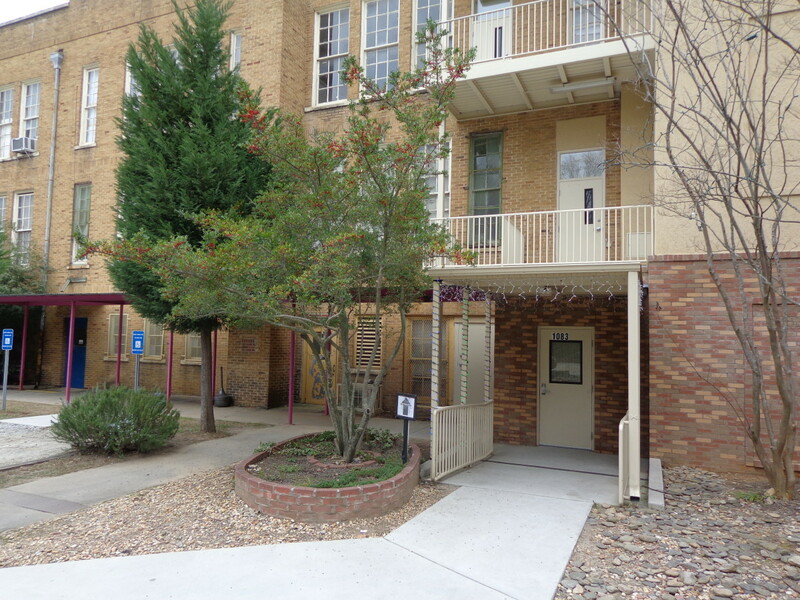 Closest to the street is a small ‘front parking’ area, with signage for other organizations; there is a smallish sign to the right, directing you to a larger lot to the side of the building. Horizon Theatre main parking, west side of Community Center. Photo by author. Once there, you are still in doubt; though the Horizon has (literally) highlighted the entrance with strings of lights, there is nothing actually saying “Horizon Theatre” until you are inside the door. Western entrance to Horizon Theatre. 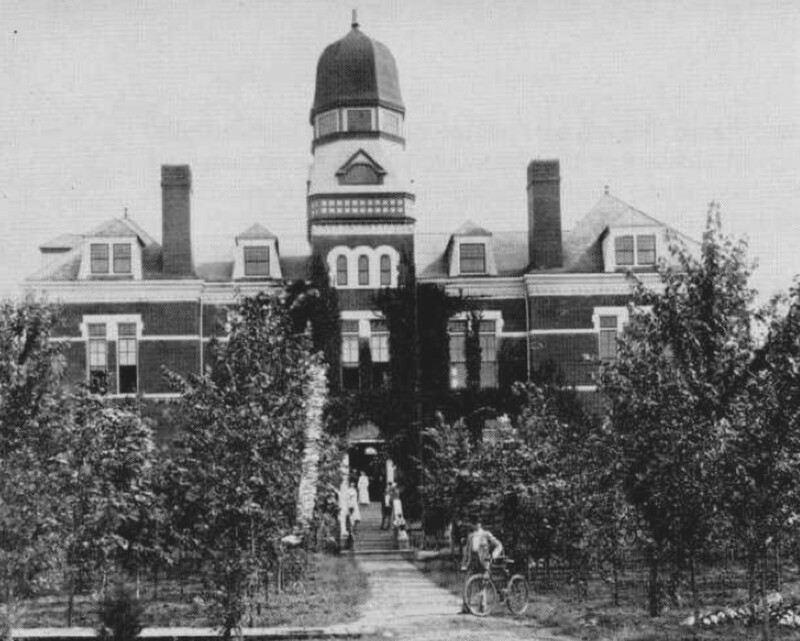 Note small arrow sign to left of door and light strings marking entrance. Photo by author. Once you have found your way to the back of the building, you find very tiny lobby indeed, even taking into consideration the fact that Horizon seats only about 150 patrons or so. There’s a box office—basically a table—then, through a set of double fire doors clearly betraying the building’s scholastic past, a lobby—foyer might be a better word—offering coffee, bottled water and cookies for sale. Since reserved seated at the Horizon comes at a premium—general seating is $25 while a “VIP” reserved seat costs $40—the ‘groundlings’ tend to stick close to the doors in order to have an early choice of the available general seating. That waiting area tends to be crowded, and if, as on the night we attended, there is an event in the space preceding the show, admittance can be delayed. There’s not much to be done about it, except to be prepared for the wait. 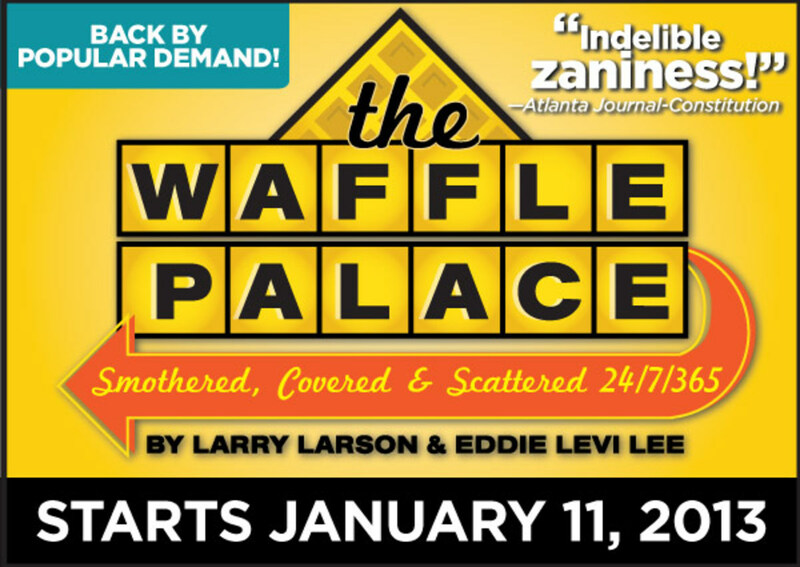 "The Waffle Palace," Horizon's current show as of writing, seems to be a comic hit for the theatre. Image courtesy of Horizon Theatre. The cast—Allan Edwards, Marguerite Hannah, Enoch King, playwright Larson, Eric Mendenhall, Mary Lynn Owen, and Maria Rodriguez-Sager—were sharp, the dialogue was funny, and the story-telling was characteristically Southern: zestfully over the top, blending slightly sentimental warmth with acerbic observation. The audience loved it, and I don’t fault their judgment a bit. 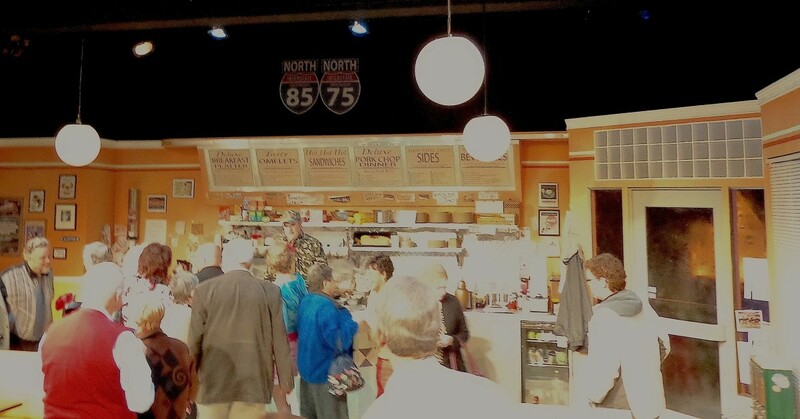 Audience members meet the cast of "Waffle Palace" following a performance. This is SOP at Horizon, and one of the pleasures of small theatre. Photo by author. 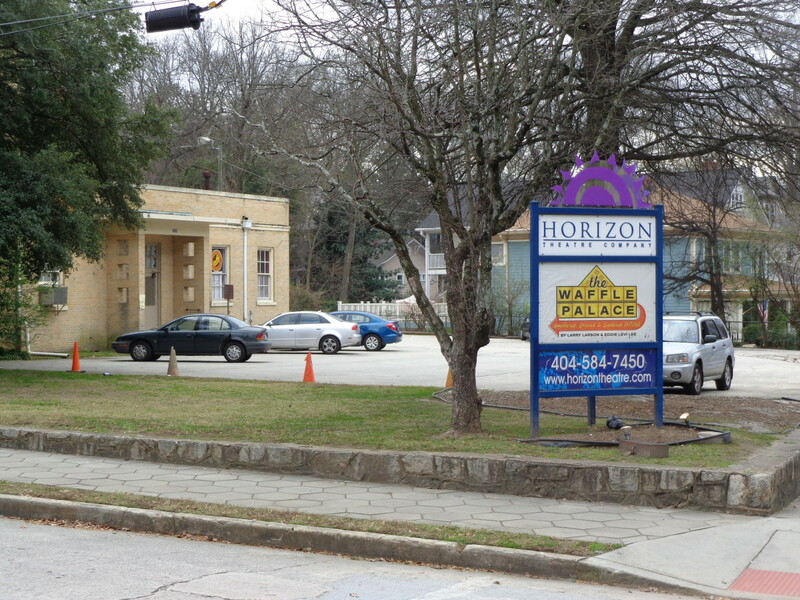 Home page for the Horizon Theatre, Atlanta, GA.
Little Five plaza, looking west. Photo by author. So that’s our Atlanta outing—‘un-touristy’, good for a rainy day, chock-full of local flavor and not too expensive. Some folks claim that Atlanta isn’t really part of Georgia, pointing to the proportion of residents born elsewhere--and often ‘up North.’ But I can’t agree. The South does urban, too—but it does it its own way. Sometimes the juxtapositions tell you a lot about what 'artsies' like to call the "human condition." 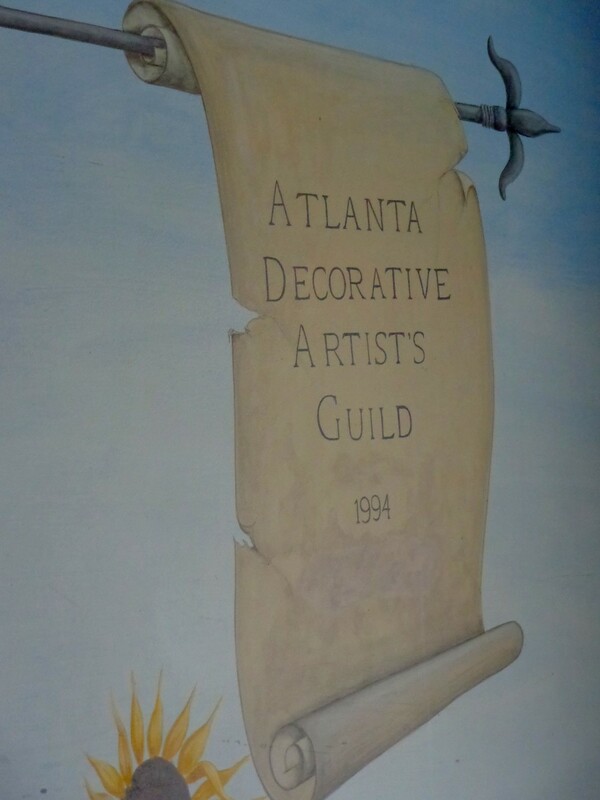 Trying our Atlanta outing would be a great way for any visitor to learn just what that "Southern urban" thing looks like. Atlanta skyline as seen from Piedmont Park. Photo by david.cole, courtesy photographer and Wikimedia Commons. Music and memory intertwine: The Doors' most innovative album remembered and reconsidered. Arctic sea ice is 'far away' for most of us--but will it become 'long ago', too? There's reason to fear just that--here's why the author cares, and why more practically-minded readers should, too. Strategies and practice questions for Sudoku. Solve faster and have more fun! Refreshing tired dressers can be easier and faster than you might think--and can deliver great value. Here's a case study! The Atlanta streetcar is now up and running. People can ride for free until the end of 2015! It takes you from the Sweet Auburn area (you can go to the King Center--also free) to Centennial Park. If you stop at the Woodruff Park area, cross over Peachtree St going north, go onto Broad St. Lots of cute restaurants on the tree-lined street. 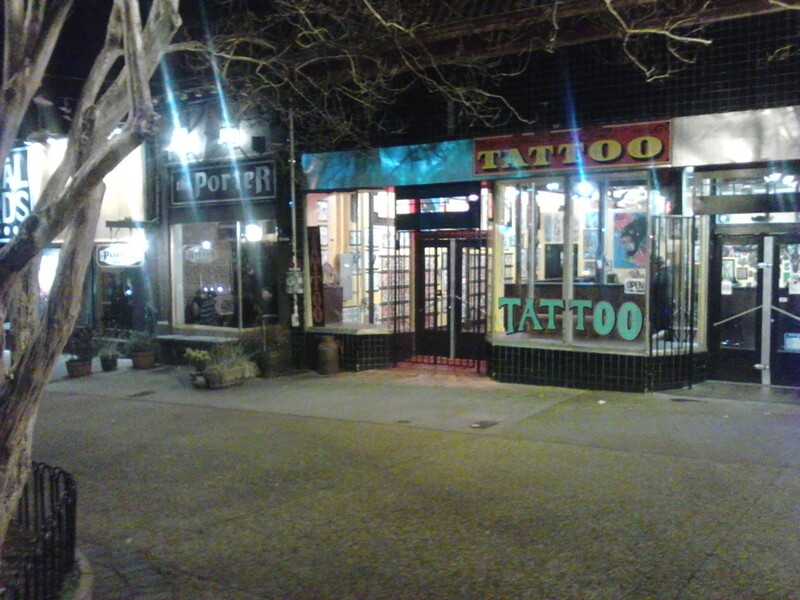 Both of these places are known for being a great location for movies. I know Fast and Furious has filmed in the area as well as Anchorman 2. Thanks for suggesting the update--it was long overdue. Done! I love the photographs that you included. They gave me a good sense of what to expect at each venue and an idea of what I need to do in order to improve my own hubs. I would update it though, since the show is no longer running. Thank you! Lot's of great detail. I live in Atlanta for 2 years and never saw any of this. 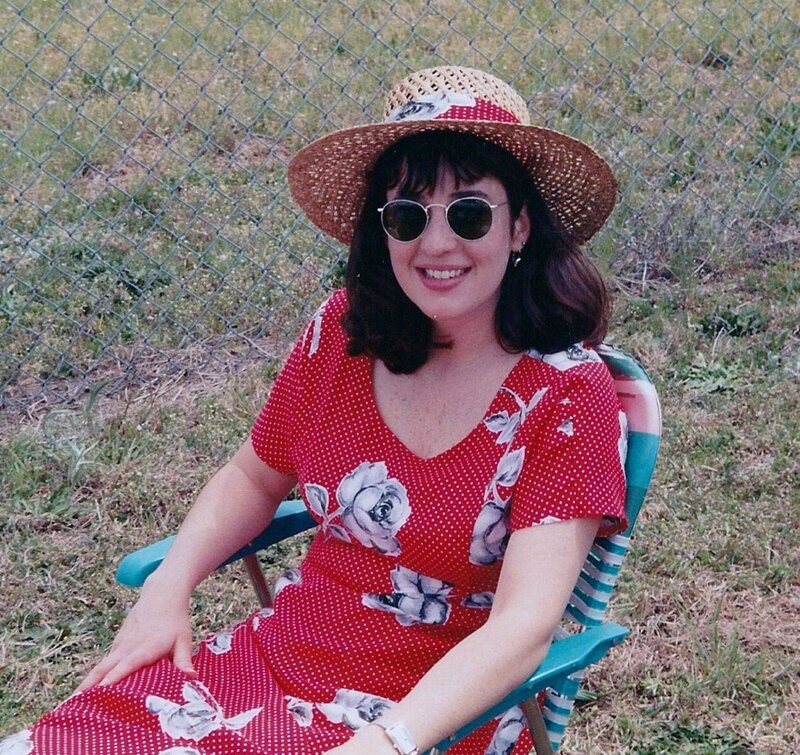 Hi, mary, and thanks! Yes, I've been to Underground--but it's changed a lot, and is now slated for yet another extreme makeover (but I forget the details.) Piedmont Park lives on as a vital urban space, and I just took my aunt from Madison, WI, to Stone Mountain a couple of months back when she visited the area. The mountain and carving are the same, but the park was privatized a few years back and has changed quite a bit. Opinions will vary about the merits there, but it's certainly drawing crowds. Susan, thank you too, for the congratulations. 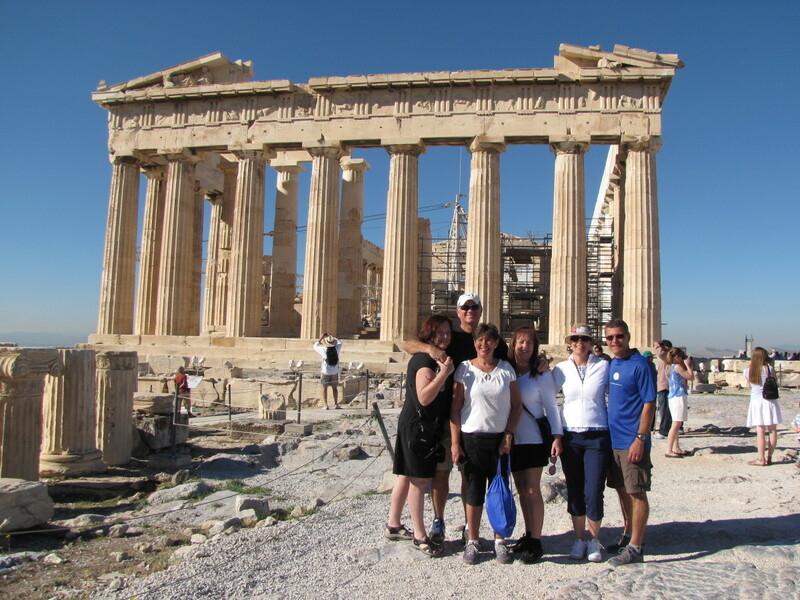 Yes, it was a good day--meaning both the original trip, and the HOTD! Words, thank you! I hope you have a great time on your trip! 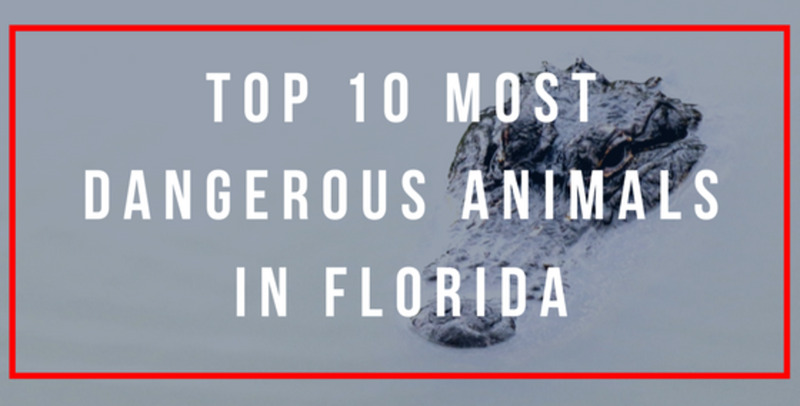 I think we'll make this part of our trip when we head down to Florida this year. Thanks for sharing the great pics! You really captured the amazing architecture of the Capitol museum. 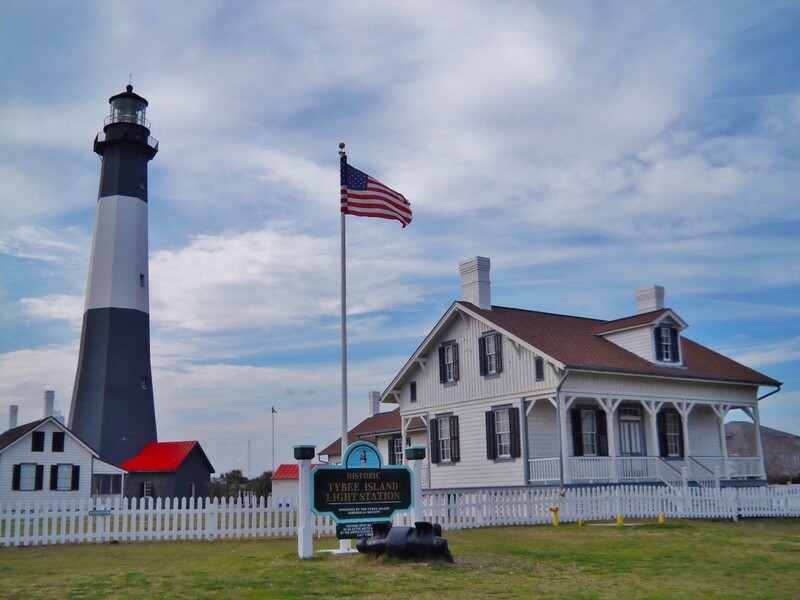 I enjoy reading about, and visiting, off-the-beaten-path places as you've detailed here. Sounds like you had a great Atlanta Day. Congrats on HOTD honors today! I lived in Atlanta for several years. I lived in Piedmont Park back in the 60's and then worked at Piedmont Hospital. There are so many attractions in Atlanta. Ever go into the Underground? I'm sure you've seen Stone Mountain, too. Oh, dear, I could go on forever talking about Atlanta! Congrats on HOTD about my former home! There is indeed, Kathleen! Thanks for dropping by! Love the contrast between the venues. 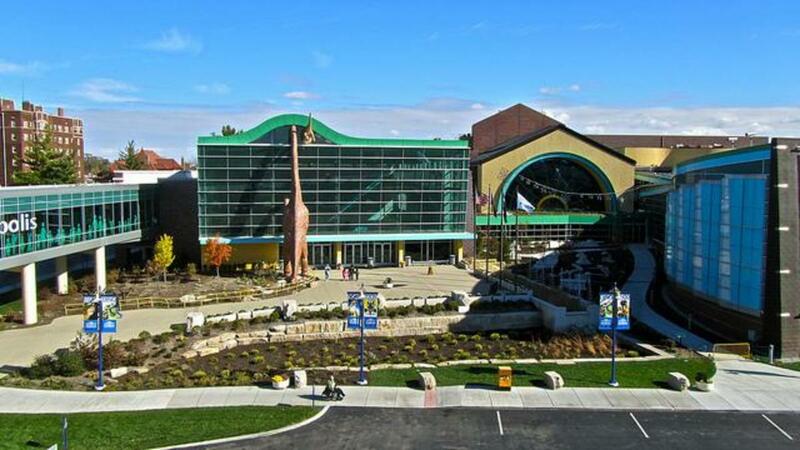 Great ideas for those of us who think we know everything there is to know about our hometown. There's always more! Nice! I keep meaning to check out some of the other locations. The Flying Biscuit Café is one of my favorite places! They sell a cookbook which has a lot of their recipes. Besides the biscuits, my family loves their turkey meatloaf. Yum! Not at all, i scribble! I agree that your suggestions are indeed more important. But I feel I need some balance in my "portfolio" of articles. Glad you liked the article anyway, and do stay tuned for some of the more substantial stuff. I'm reading, thinking, talking and ruminating on climate change all the time. But lately I've been a bit unsure as to just what I wanted write in that regard; I've been feeling that there's less need to concentrate on the pure science, as most of the 'skeptical' objections have been answered and re-answered. And with the IPCC process rather in the doldrums, US policy perhaps at a critical point, and time for mitigation efforts to be successful, I've been feeling the need to understand policy options better. And that is a whole different field of study. That said, I doubt the fallow period will last indefinitely--or, probably, all that much longer, even. This is a perfectly nice article and I can see the effort you put into it. 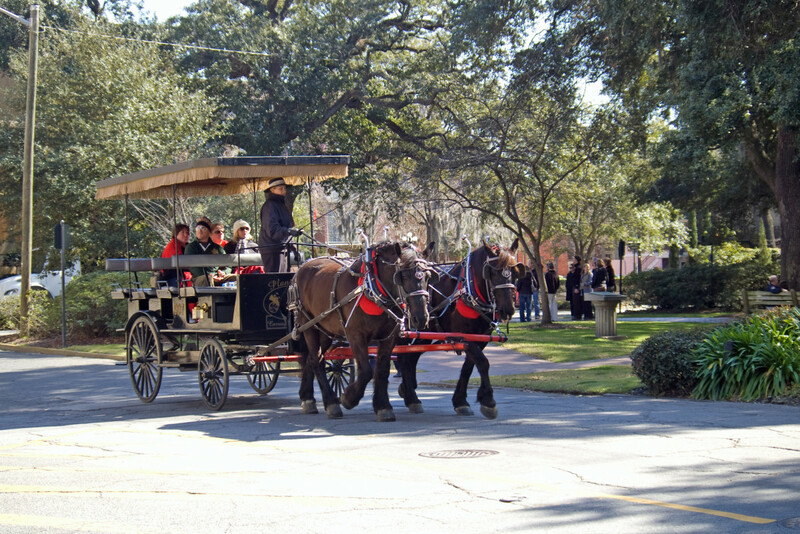 We have a state museum and a Five Points area here in Columbia, SC as well. The Waffle Palace comedy sounds fun. That being said, I would rather see you put your energy and considerable talent into more important spheres-- climate change, of course, and maybe your views on gun legislation, the filibuster, the electoral college, media consolidation, modern day slavery, just to name a few. I would write on these topics myself, but time constraints are currently prohibitive. Hope you don't mind my impertinent suggestion! How delightful that you could drop by! Thanks for an interesting visit. Thanks for checking out this Atlanta outing!